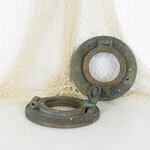 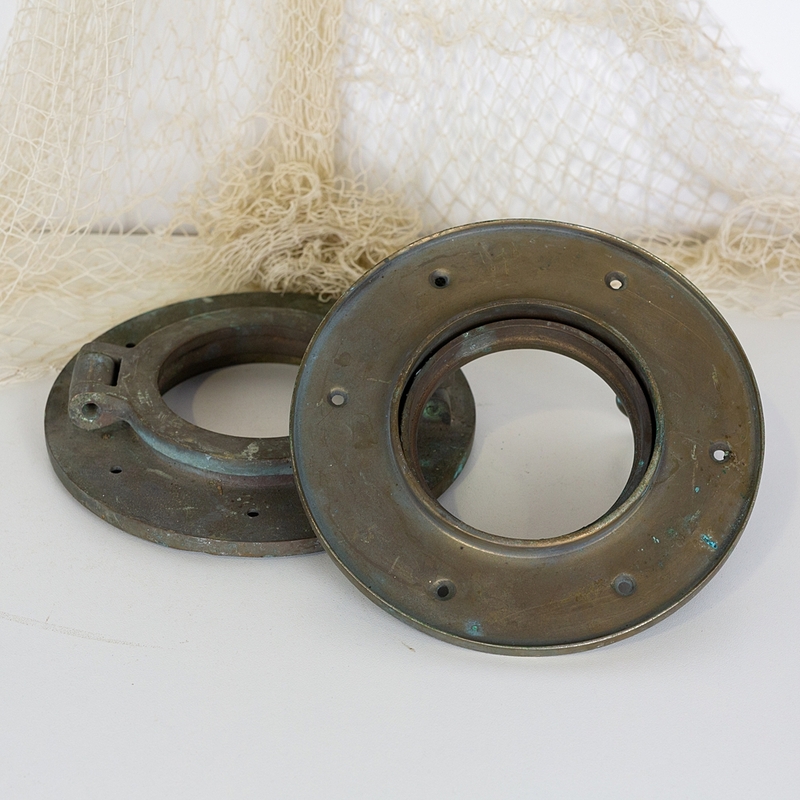 This sweet little old porthole has a wonderful aged patina. Unfortunately the glass is long gone but this can be easily fixed with new glass or mirror. 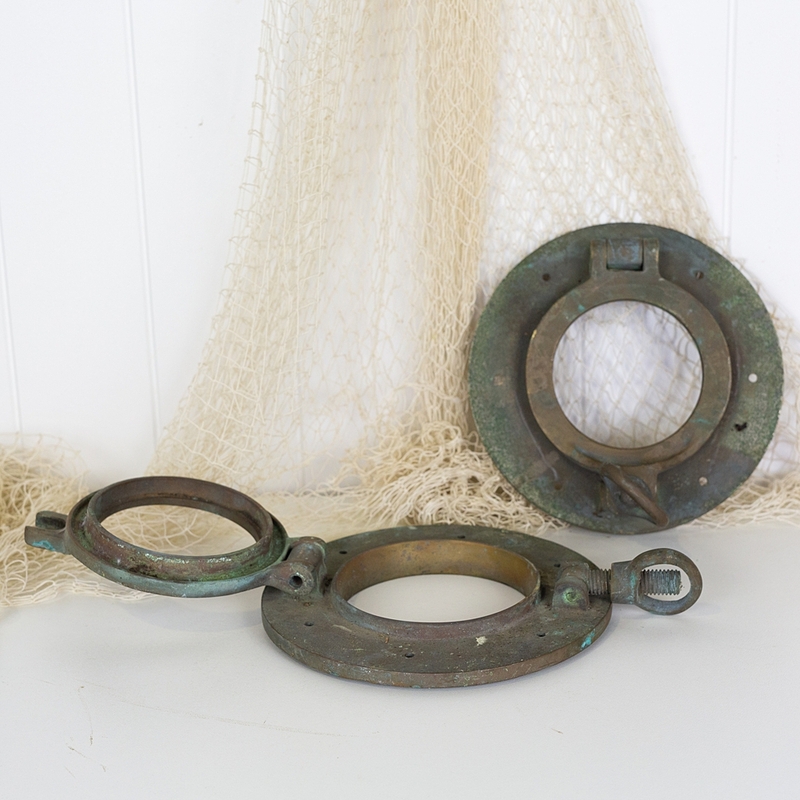 The dogs work, and the porthole can be opened and closed. We have two the same size available and they would look wonderful side by side, or perhaps fitted to doors. The listed price is for one only.